AS AIRBNB GOES from strength to strength, startups globally are cleverly pouncing to tap into its customer base to develop their own viable companies. Last year, Airbnb made bold statements that they were on course to hit over €850 million in revenue in 2015. Predictions such as these and the company’s rapid rise to prominence since 2008 has made entrepreneurs take notice. US companies such as Pillow and Urban Bellhop have positioned themselves to directly feed off the success of Airbnb by acting as hospitality agents for its network of hosts. The influence of Airbnb also extends into the product market, with companies like Lockitron now developing technology that helps provide keyless entry for guests. Airbnb demonstrated its power in the Irish market last year by publishing figures that showed their €202 million impact on the Irish economy between October 2014 to September 2015. These figures showed the potential for popular Airbnb spin-offs to prosper. In late 2015, Ireland’s first agent who looks after Airbnb listings from checking-in guests to cleaning the property launched in Dublin. Speaking to TheJournal.ie, founder of AirButlers Gary Fox said a trip abroad is what gave him the idea to bring the concept to Ireland. While travelling in the United States and using Airbnb, I noticed the experience was totally different everywhere I went and some hosts had problems catering for check-ins and problems that arose. I thought there must be a way of addressing this. Check-ins and troublesome guests are two typical issues that can be a major headache for Airbnb hosts. Fox said Airbnb’s Host Protection Insurance is available to every host in Ireland and advises strictly vetting all guests. “I will only accept guests who have fully completed their Airbnb profile including uploading a copy of their passport. It’s a common sense approach. I do not accept stags or hens and operate a no party policy,” he said. Thankfully I’ve had no issues so far and hope to keep it that way. Once you are very clear on the type of guests you want to accept, you can avoid any unnecessary headaches. Last August, Airbnb caused panic after revealing plans to share information with Revenue Commissioners about its hosts’ rental income. Fox said this has made hosts cautious about leasing their home. “This is a very scary part of the process for hosts. They just didn’t know where they stood on the earnings they were making. Our service removes a lot of that fear for hosts,” he said. As part of our full package, we will do their tax returns for them at the end of the year. This means they will know exactly where they stand with the taxman. 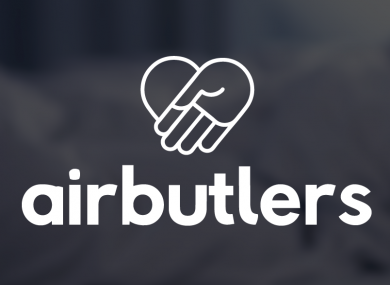 After a soft launch in 2015, AirButlers is now fully established in South Dublin and the city centre. Fox said the interest so far has been promising and he has plans to set up in other cities nationwide. The response has been very good so far and we absolutely have plans to expand past Dublin and hope to be in cities like Cork and Galway later this year. Email “Airbnb has become such a behemoth it's generating spin-off businesses”. Feedback on “Airbnb has become such a behemoth it's generating spin-off businesses”.